Private Loan Services, Modifications & Loss Mitigation | Del Toro Inc.
Our Basic Servicing – Sub-Servicing structure is an excellent value for Brokers or Lenders who are hands-on with their clients and require only scheduled, predominantly automated assistance from a loan modification company. Should your files need extra attention, our Specialized Loan Servicing, detailed below, may provide the best results. Note: Del Toro retains 50% of late and default charges and 10% of pre-pay penalties. 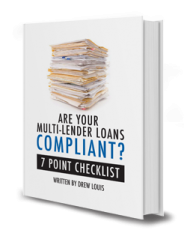 Multi-Lender Loans must select a single point of contact. $75.00 setup fee. $25.00 fee per lender, per month. $75.00 per-month minimum.